Wrestling And Seeking What Do You Think? I have been wrestling lately about how I can better express to my friends here on Pages From Joan the reality of my personal faith journey. A dear friend of mine, Laura, who battled breast cancer before dying in 2014 in her fifties, once told me she was wrestling. She decided that wrestling and seeking is synonymous. I agree with her. As I have wrestled, I have been seeking God’s will, His unique plan for me. Meanwhile, I want to share just a few details about my journey, related to my faith. Raised in a Southern Baptist Church with my five brothers and sisters, I now consider myself more of a Christ-follower than a member of a certain denomination. At age nine, I professed belief in the Lord, Jesus Christ. As I grew, I believed God had my back, but I made the choice to stray away from a close walk with Him, for approximately ten years of my life. There is nothing wasted in God’s Economy. As time has gone by, I have come to realize that God used my time away to mold and deepen my faith in Him. It was during that time away that I learned about compassion, courage, forgiveness, and repentance. Well, I was certainly the one who moved away from Him for that season of my life, but I see, looking back on that time, that He never, ever left me. I must say my time away has taught me so much about patience (on God’s part), compassion towards myself and my fellow-man, and love towards all created humans. Fast forward to a few years into our marriage, when Donny and I, as a couple, had begun to move closer to God again. We spent three years of our marriage dealing with infertility, and you can read about that part of my journey here. In December 1987, while I was on Christmas break as a teacher, I found myself pleading with God to give us our first child. I cross-stitched Romans 8:28 in a small frame to keep on my desk. Soon after this, after over five years of marriage, I became pregnant with our first child. I felt strongly, that this was, in part, due to the fact that I had finally surrendered to my God about my dreams of having a child. I believe God rescued me from my childless sorrow and I had a renewed desire to draw close to Him. Leah was born on October 8, 1988, and I believe He has been wooing me, rescuing me, providing for me in countless ways since that time. God created us and He knows even better than us what is best for us. Adversity makes us stronger. We must stick together especially when things get tough. When we seek God, drawing close to Him, we will find Him every time. In adversity, He draws us into a deeper walk with Him. Did you know? There are more than 7,000 promises in The Bible. I am sharing this with you because I believe with all of my heart that Christ came to rescue each and every one of us. God keeps those 7,000+ promises as we seek Him, we will find Him, and He will rescue us from our troubles, and even from ourselves. The gift is in the promise, and as believers, we may go about our work assured that what God has promised, He is able to perform, and that the gift, which we already possess, will be realized when we need it the most. One of my favorite bumper stickers states: CHRISTIANS AREN’T PERFECT. THEY ARE JUST FORGIVEN. I hope you now have a clearer picture of my perspective as I post here on my Pages From Joan. It is my desire to bring encouragement, learning, and inspiration into your days as I seek my God and share authentically from my heart, soul, and mind. And now, today, with all that has transpired in my nearly six decades of life, my husband and I are preparing for the arrival of our first two grand babies, both due after Labor Day 2018. Our daughter, Leah and her husband, Scott will become first-time parents and our son, Walker and his wife, Jessica will also become first-time parents. My heart is overflowing with gratitude to my Father in Heaven as He continues to pour blessings into my days, even amidst my wrestling and seeking. Oh, how He Loves You and Me. What do you think? Whether you believe in Jesus, find your belief in something else, or question what you actually believe, God is interested in hearing from you as one of His unique and beautiful creations. It is both ultimately and intimately between each created human and God. I know for sure though, from my own personal experience, When we seek Him, we will find Him, every time. And I know I would not want to be on this planet earth without a relationship with the God of the Universe. Author JoanPosted on June 8, 2018 June 8, 2018 Categories encourage, faith, family, feelings, freedom, friends, gifts, God, hope, infertility, inspire, Jesus Christ, Joan Page, Joan Walker Page, Joy, kindness, learn, loveTags faith, family, friends, God, hope, Joan Page, Joan Walker Page, legacyLeave a comment on Wrestling And Seeking What Do You Think? Can We Simply Do The Next Kind Thing? What if every one of us simply the next kind thing? What if every human woke up and made an intentional decision to do the next kind thing with everyone they encountered on that new day? How would our tumultuous world be different if we were simply kinder? I believe this is a question Daniel Lubetzky had pondered before he founded The Kind Movement in 2008. Did You Know? The spring-board for this movement was a line of healthy products that were first developed in 2004. They are sold everywhere and you have probably tried one or two of them. They are still a popular choice 13 years later. 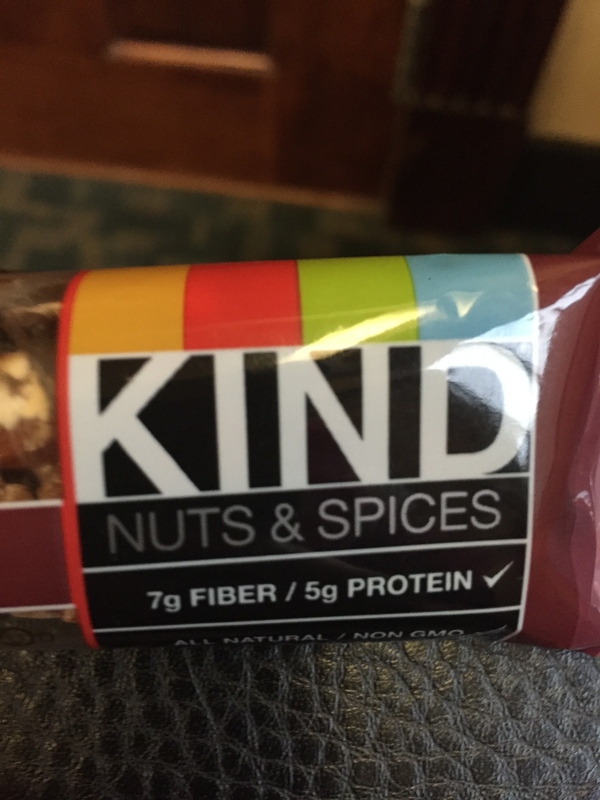 So the next time you grab a delicious snack called a KIND bar, think about the origin of this treat! The KIND Movement is a mission to inspire kindness. Small acts or big, this movement encourages it—from writing a thank you letter to someone who deserves it to volunteering with an organization you care about. Every day, our community (aka YOU!) brings us one step closer to our goal of making kindness a state of mind. Need some inspiration for your kids or for yourself? Click Here for some printable kindness cards produced by The Kind Movement. Or here for a cool kindness checklist! Was there bullying in your childhood or in the childhood of someone you love? Sadly, this was the case for founders of the Kind Campaign, Lauren Paul and Molly Thompson when they were college classmates. Their attempt at growing more kindness in our world is now an internationally recognized nonprofit organization that brings awareness and healing to the negative and lasting girl-against-girl bullying through their global movement, documentary film, in-school assemblies and educational curriculums. One more way to show kindness to those in our path is to put our phones away! Our phones are becoming a wall between us hindering communication and intimacy with one another. Author JoanPosted on April 7, 2017 April 8, 2017 Categories Challenges, emotions, encourage, faith, feelings, inner heart, inspire, Joan Page, Joan Walker Page, kindnessTags caring for others, hope, Joan Page, Joan Walker Page, kindness2 Comments on Can We Simply Do The Next Kind Thing?